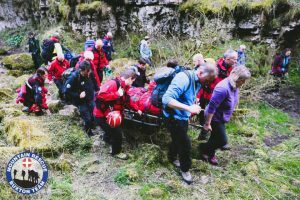 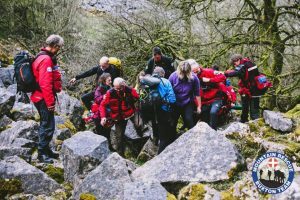 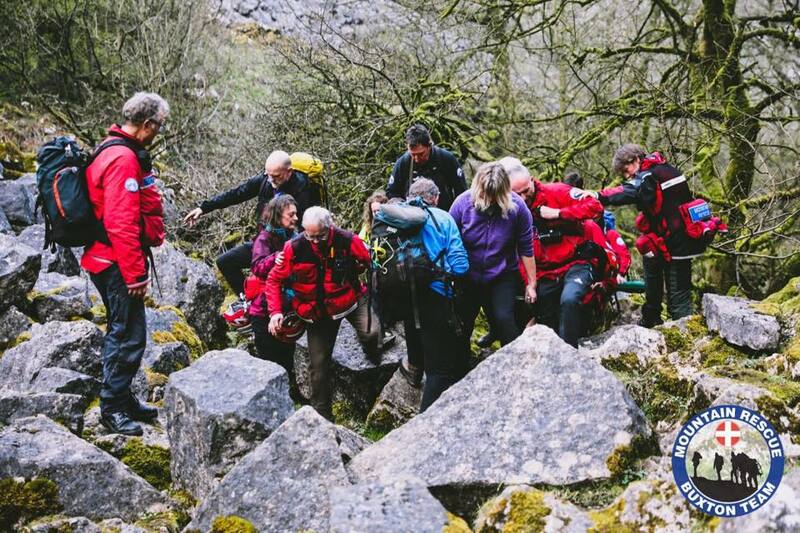 The lady was treated on site before being placed in a vacuum mattress and casualty bag on a mountain rescue stretcher, and was carried along the boulder-strewn dale to the road head. She was transferred to a waiting ambulance for transport to hospital. 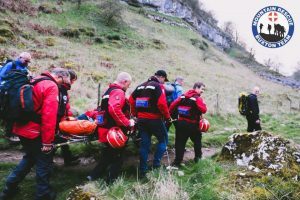 It had been a busy weekend for the rescue volunteers with supporting walkers on the 4 Inns walk, and dealing with 4 incidents. 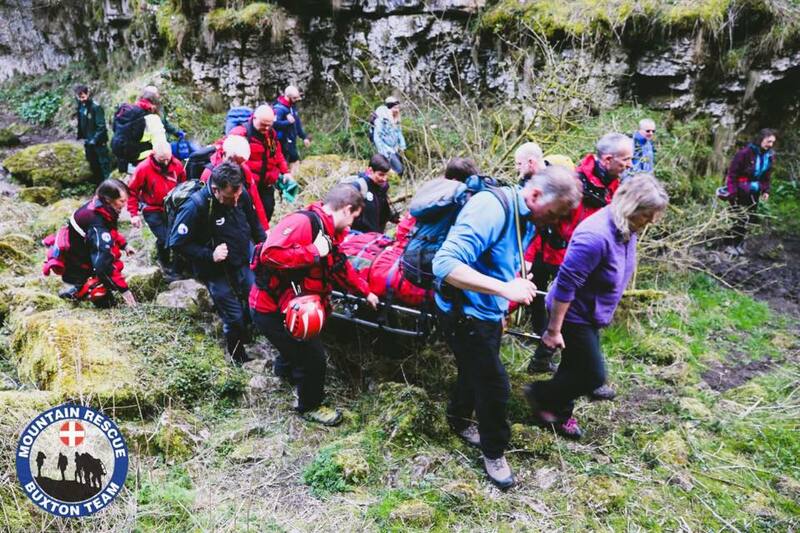 We wish all the casualties from the weekend our best wishes for their speedy recoveries.